For sure that you know about the implementation of new ESMA rules and its calendar. 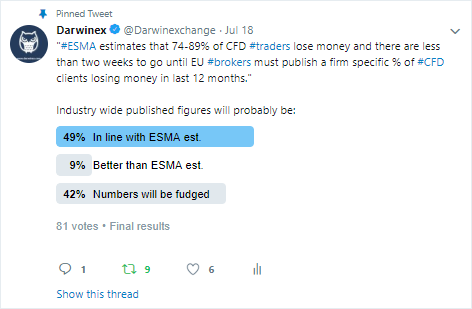 But also, ESMA estimates that 75-89% of CFD traders lose money, and with new rules taking place EU brokers must publish specific % of losing CFD traders in the last 12 months. We are running a Twitter poll so that you can share your thoughts about what the industry will say! Click the link and share your opinion! I assume that there will be more losing traders and more money lost. Why? There will be significantly more margin calls. What ESMA didn’t do: examine the number of margin calls before they constructed this broker protection rule. And to figure out how many margin calls closed CFD positions or forex positions. 20 (or let's say 10) years ago, perhaps. But as years go, less and less traders keep long term (moreover, leveraged) exposure, so imo the impact is near to zero. How will ESMA affect Darninia? Professional trader, with a 100:1 leverage, will have a great advantage. The poll comes to an end and here are the results! Interesting to see how lucid traders are! Only 9% actually thinks that numbers could be better than "market expectation". The plus side is, having said that, traders persists! And YOU - Darwinex traders - are showing the whole world how profitable trading can be, when properly processed. The risk warning has already been updated. Does this % include DARWINs investors? Or only traders? Find out who are the best Social Traders of Week 12/18, from 19/03/18 to 23/03/18, on eToro, ZuluTrade, Ayondo and Darwinex. Discover them now! It seems a useless site. Intead of useless "top of the week" rankings they could run an investor demo on every site to understand if those performances have some robustness or are just noise/luck. i know, i just choose that week because PGH was there! and it was when i notice the site... the publish it weekly! here is lweek n° 28, which goes from 09/07/2017 to 13/07/2017. Find out who are the best Social Traders of Week 28/18, from 09/07/18 to 13/07/18, on eToro, ZuluTrade, Ayondo and Darwinex. Discover them now! A comparison done in that way is completely useless, also the rule used with eToro doesn't make any sense. 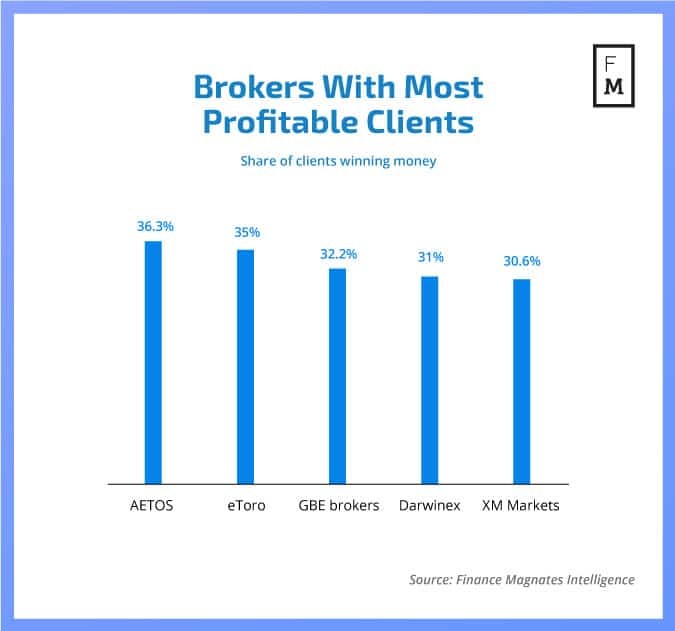 eToro returns of visible traders are comparable to Darwins since at least 2 years because they put some limits on risk profile of paid "populars". These sites are completely useless. Thir scope is the same of 99% of sites about trading, making money with banners and partneships with brokers. Darwinex: 69 % of retail investor accounts lose money when trading CFDs with this provider. eToro: 65% of retail investor accounts lose money when trading CFDs with this provider. 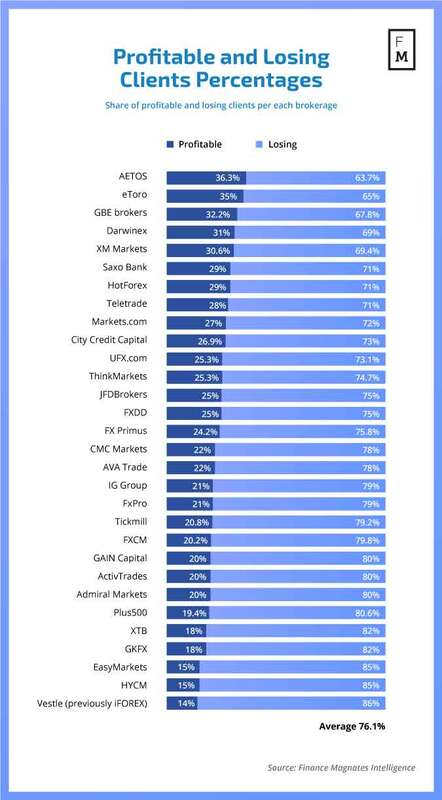 33% of retail investor accounts lose money when buying stocks (at leverage 1) with this provider. ayondo: 72.1% of retail investor accounts lose money when trading CFDs and spread bets with this provider. Can somebody answer to this please?